This photo print hangs along with others in my supermarket. 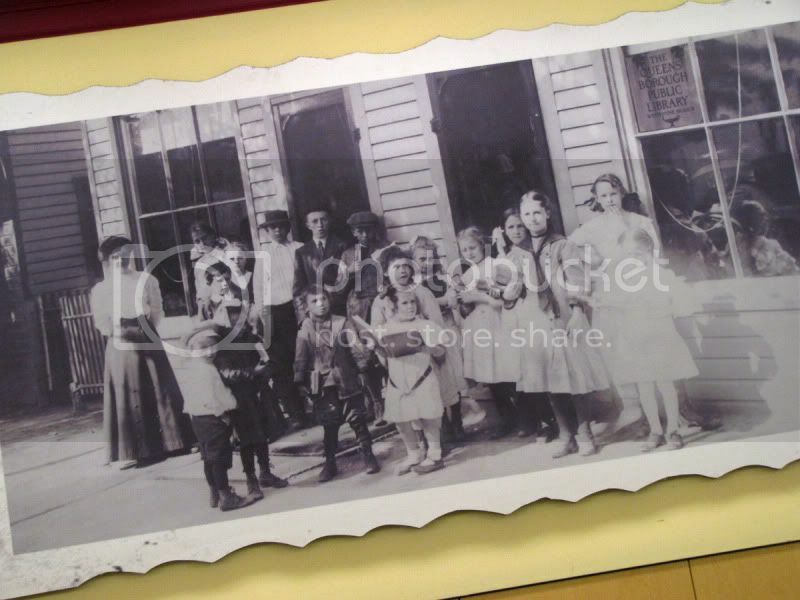 It depicts the children and the librarian of the Queensborough Public Library, Whitestone Branch back in the 1900s. Along with this sepia photo there are several others. The trolley at the final Whitestone stop. And the Whitestone Fire Hose Company. All the men but 4 or 5 have handlebar mustaches. I thought you'd like seeing this photo that I look at every day and how the sepia has developed over time. Please sign Mr. Linky and leave a comment if you like. 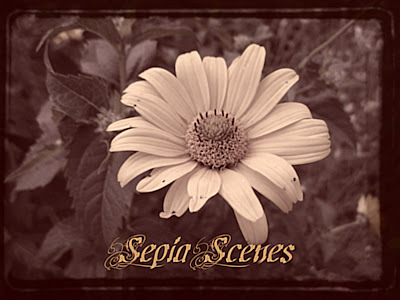 Visit the other Sepia Scenes players too! Spanky and the Gang! Where's Pete though? Very cool to see one that's actually this old. Good morning Mary. How neat to see history everyday in your market. We have an Iraq War board for locals who are serving. Perhaps someday that board will be a part of such history. Takes you right back in time :)! Amamzing image to retain in a supermarket! And why not! Beautiful way to publicise history of the area! Very interesting. I like it when businesses show old pictures like this. I have one from of my store I should get framed - a pic I got from the local historical museum's calendar a few years back. Today's Sepia Scene @ It's A Blog Eat Blog World is from my trip to the County Fair last week. Love old photos such as this one! Takes me back to my childhoo...yes, I'm only kidding about my childhood. But I really do LOVE old photos. The kids look like kids, but the adults look the part of the era. A nice sepia of a different period, and a lovely view of Queens! I love this photo of long-ago Queens. So ... you go to the supermarket every day too! I am always there, although I did take yesterday off. I have a new computer and new software. It was fun playing with it. It is interesting to see how sepia has changed. Not to mention how the styles have changed. I just found this wonderful meme last night and posted my photos today. Your photos are wonderful. Thank you for sharing and creating a great meme. Wow an actual authentic sepia photo! I put some old family photos into a slide show at the bottom of my blog. Love your new photos. Mine are up now too. Have a great week ahead.